Growing up in Ghana as a young child and achieving my universal primary and junior secondary education from Bonyere Catholic Primary, Top Royal Preparatory School and Air Force Junior High School Takoradi Ghana, I understand the challenges of what many younger children in third world countries encounter throughout their academics but I believe with a few support and aid, these children can achieve their educational goals. This is the reason why this project means a lot to me and not only to give back to communities but inspiring and motivating younger generation. It is my hope to make a difference in society and the world at glance. 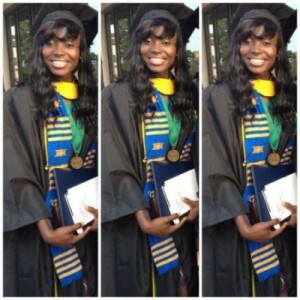 Ms. Viola Tebah is a graduate of Coppin State University’s School of Business with a degree in Accounting. Viola Tebah joined the accounting division at TD Emory CPA & Associates in 2014. Since joining the firm, she has focused on tax preparation for a variety of corporations. Viola plans to become a CPA and has interest in joining the firm’s audit team. She’s currently preparing herself for Graduate School to earn her Masters in Forensic Accounting. Prior to joining TD Emory CPA firm; she was the executive administrator to the dean of Coppin State College of Business, online coordinator and recruiter to the University School of Business. Also, Viola Serves as a Motivational Speaker, Educator and a Humanitarian. She’s a proud ambassador for Tropics Magazine South Africa, ambassador for The Ngalamou Foundation and Goodwill Ambassador of Ghana Northern Region. She has inspired, motivated, and educated young adults at her church, school and organizations. During her participation in community organizations such as The Ngalamou Foundation, Operation Prom, Liberty’s Promise, Business Academy, and Coppin Accounting Society, she has helped students to reflect on their past; and to see the prospect of their future which enables them to move forward with confidence. She is with much honor to have established the Tebah Educational Initiative Organization to give back to her community and the less fortunate as it is her hope to encourage the young ones that with hard work, dedication and keeping God first in everything you do, you can accomplish anything you set your mind unto.